If your job search is longer than you expected, take a temporary job in the meantime. Yip-pee, was my first thought. As I had just received my Bachelor's of Science in computer science, this temp job seemingly had nothing to do with my tech career plans. Plus, it didn't sound like fun – more like the opposite – and I didn't think that I'd learn anything useful. Should I have taken the job? 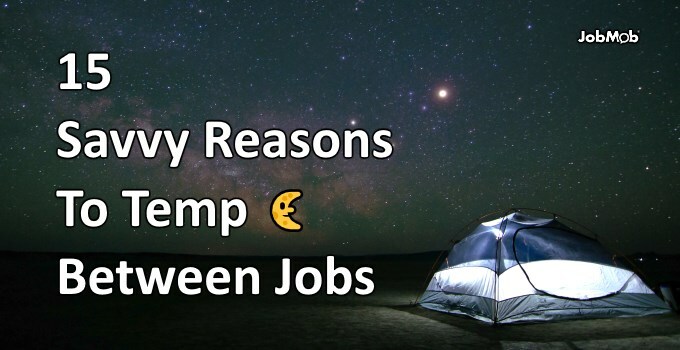 How many temp jobs have you ever had? Why is temping often a good job search idea? By opening yourself up to the temporary job market, you increase your chances of getting a job, period. Whether at temporary job placement agencies or at the hiring companies, temp jobs are a good way to meet new people, grow your job search network and build up references. A little income is better than none and some countries allow you to take temp jobs while still receiving unemployment benefits. A temp job can be the quickest way to get some experience in a field you're lacking. A temp job can let you try out a new career direction, especially for people who aren't sure what their profession should be. Being productive in a work role will keep your spirits up and help you otherwise avoid job search depression. Temporary placement agencies are responsible for sending qualified temps to client companies. As a result, the placement agencies will often train the candidates they think can do the temp job. Many temp jobs are part-time, leaving your schedule partly open to continuing with your longer-term job search. A temp job is a great way to learn about a company from the inside, helping you to decide if you even want to be a full-time employee there. Costing less than full-time employees, temps are appealing to companies in hard times. “Lowering your barrier to entry” means that as a temp you could get hired by a company that couldn't afford to hire you otherwise. The “temp-to-hire” situation is when a company brings in temps to test their skills in filtering candidates for full hiring. 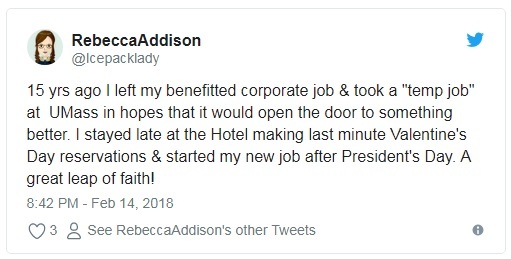 Another nice situation is where the company is so happy with your temp results that they decide to offer you a full time job. Do temporary jobs improve workers' long-term labor market performance? 12) Temporary job workers subsequently do better in the labor market. 13) Temporary job workers have a higher chance of subsequently working for higher wage firms. 14) Temporary job workers provide a productive stepping stone to more stable employment. 15) Temporary job workers can develop useful job skills. I didn't take the telephone survey job… at first. But I thought it over and realized that all things considered, the pay was good for the work in question and I was only needed part-time; there would be no mind-numbing 8-hour days on the phone. Finally, since the job offer arrived without requiring any more effort on my part, I changed my mind and did take it in the end. Turns out I was right and wrong. The job really wasn't fun, but I did learn a few useful things and more importantly, met a lot of new people in growing my future job search network. And if it hadn't gone well, there was no need to mention the temp job on my resume anyway. Subscribe to JobMob via RSS or email and follow me on Twitter for more about the advantages of temp work. ‘Agree on all points. I’m a temp and it opened my eyes to other opportunities. Most important of all, it has somehow thought me to be entrepreneural. i need a job.i m graduated in B.A.